This Eat Drink and Be Scary Wood Sign says everything you need for an awesome Halloween, and you will want to place it where your Halloween party guests are sure to see it. Block wood sign is crafted in MDF. Vintage look in black and white with a diamond print on the sides. 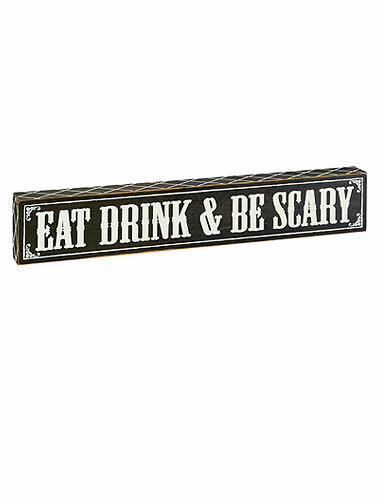 Eat Drink and Be Scary Wood Sign measures 21.5"L x 3.625"H x 1.6" thick.